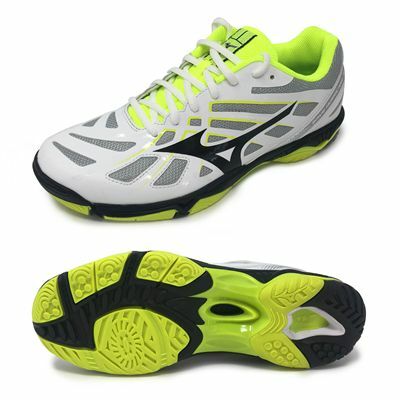 The Mizuno Wave Hurricane 3 men’s indoor court shoes ensure a secure and comfortable fit thanks to a lightweight, no-sew upper made using AIRmesh material providing enhanced air flow. These stylish shoes keep your feet cool and dry while playing and offer Mizuno Wave® technology in the midsole for stability in the heel, high impact absorption and a cushioned feel. Also, there is AP+ midsole compound to improve durability and cushioning and the gum rubber outsole boasts Dynamotion Groove technology for added stability and on court agility. for submitting product review about Mizuno Wave Hurricane 3 Mens Indoor Court Shoes.